I recently stumbled across this trainer and her method of working with horses which is something i haven't really seen before. 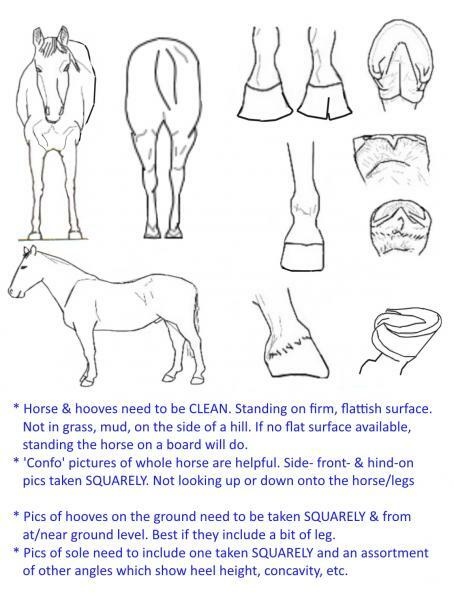 It looks pretty interesting and I think it's the approach I may need to take with my mare Roxy since she has a similar personality to that show jumper in the video. I also like what the lady says in one of her videos that she starts the training off without a halter or lead rope because she doesn't want to force the horse into doing anything (especially since they're much bigger and stronger than us so we'd never win that battle) but would rather work with the horses mind and form a connection that way and get the horse to choose you. I don't have anywhere on the farm property to do this, so I'm considering boarding my mare at the stables around here and working with her there. I definitely think it'd be a good fist step to take to get my mare listening to me better both on the ground and in the saddle. I also think it could be quite fun to start Ren, my yearling, on this training as well. I'd have to take a slightly different approach since unlike the other horses, she's had no previous training as extensive as theirs. Though I think starting her off on a liberty type of training would be great. And it'd be pretty awesome to end being able to lead both horses around without halter or lead and have them follow. Could always lead to some other trick training as well. Anyways, so what do you guys think of this lady's way of working with the horses? Would love to hear what training methods you guys like using and what you've found to work best for you and your horses. There is nothing 'new' about her methods. This is a very foundational way of creating a link with the horse , and establishing leadership. Watching her work with the gray horse had me a bit worried. She often had herself in a position where she could easily get kicked or run over. loosie, bsms, jaydee and 3 others like this. Nothing new at all, its a bit of a combination of the way several other trainers work with horses - people like Hempfling. What I would say is that those two aren't wild horses, or even bad horses. The grey is a horse that's learnt he can use his strength to do what he wants to do and maybe even been whacked for it but not in a way that helped him understand that his behavior was wrong. The other horse was just plain confused by being thrown in at the deep end - its yet another case of someone thinking that because Horse A caught on and settled down really easily that all horses will do the same. bsms, boots and SueC like this. I have watched a ton of videos and gotta say that this wasn't the cleanest or most efficient I've seen. I was also worried for her safety - the way in which she had the horse cornered with a low ceiling as well and then looping that leadrope in a poor manner when the horse was clearly feeling a bit bananas. I mean the right idea but I'd definitely keep searching to find something a little more finished! loosie, jaydee, SueC and 2 others like this. I think her videos were ok, she's not perfect but no one else is either. She is using the same concepts as others but with her own style. I would think that you could learn a lot from her but also watch other videos as well. There are many others that do similar things. Try watching Warwick Schiller, he's a good one. I also really like Kempling but he is a little vague on the how to part of it. Clint Anderson also uses similar concepts but to me seems a little more aggressive about it. Basically, it's giving the horse options and making what you want them to do the easy choice. Also teaching them to trust your leadership. jaydee, SueC, rambo99 and 2 others like this. I thought she was ok, she did get results without taking away the horse's air...by running the tar out of them. And owners were also able to be successful ,with her style methods of working with their horse. She gets her point across to the horse and both horse's were licking chewing. The studs eye softened considerably and he stopped screaming for buddy...even though buddy was calling for him. So she must of gained his trust I liked she had them loose no ropes no halter. So horse had the option to leave. ..and did. There were times I thought she was in a position to get hurt ,run over or kicked. She's kind uses a lot of praise, what she does works at least in these videos. tinyliny, greentree, SueC and 1 others like this. I'm afraid I only watched a few minutes of each - and was grinding my teeth at that! She was very abrupt and inconsistent, grabbed at the horses, caused them to pull away... & then let them. She repeatedly put herself in danger, which if those horses were as 'bad' or 'unhandled' as she said they would have been far more reactive & dangerous with her cornering them, marching up to them with a whip etc. Esp when the stallion was so worried about being locked in there in the first place. This is not anything new, just another variation on (not good eg of) aggressive 'round penning'. And it sounds like she is big on dominance theory, which I think is quite flawed too. When you said the horse's were started at liberty, piqued my interest, as I tend to start my relationships with horses at liberty. But letting a horse loose in a small enclosed area, & getting after it with a whip & cornering it is NOT anything remotely 'liberty'. And she talks of getting the horse to choose to follow her - what real choice do they have?? If you want to look at GOOD egs of horses trained at liberty, I suggest you look up Klaus hempfling and Carlos tabanaberri(sp?) as 2 skilled and *considerate* horse people. bsms, jaydee, greentree and 1 others like this. I like Karine Vandenborre for liberty training. I did her full liberty training program, and am still working through her groundwork program. They are both excellent, but not free. But even I will say that it's going to be pretty hard to teach a horse to jump just using liberty training. As far as liberty leading, yes, it's not that hard to do, but it's a good idea to follow a solid training program. Maybe just not this one. jaydee and JoBlueQuarter like this. Just watched the 'wild stallion' one, half way . She is SOOOO asking to get hurt. Grabbing his head with her hands and holding it, and being as close to him as she is. All of what she is doing could be better done on a line. It is less stressful to all. less dangerous, too. A lot of women like to be really close to a horse when they are working with it. When you are too close, the horse looks right over and past you. Being super close is actually LESS effective than being at some distance. I've seen really good horsemen work with horses, break them, and they NEVER grab on and hold to the head with their hands. that said, I like the way the horse is licking and yawning. So, maybe there is something to her grabbing and holding and forcing the hrose to be 'touched'. I dunno . . .
loosie, bsms, jaydee and 4 others like this.